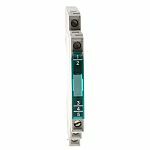 A signal conditioner is a device that converts one type of electronic signal into another type of signal. Its primary use is to convert a signal that may be difficult to read by conventional instrumentation into a more easily read format. Signal conditioning can perform a wide range of processes required to make sensor output suitable for processing include amplification, filtering, converting, range matching, isolation. The input from a sensor is connected to the signal conditioner, which is then able to convert the specific input type into a signal that produces the necessary output type for the instrumentation used. 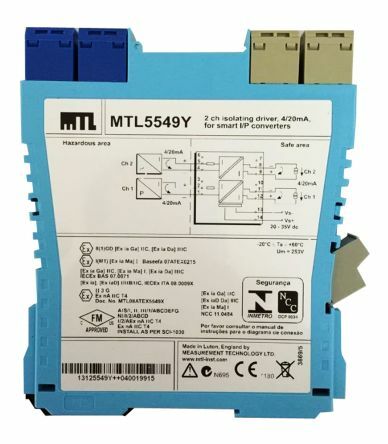  DIN Rail Mount - a DIN Rail mount signal conditioner mounts on a DIN Rail bracket and are very popular in industrial applications since they provide a rugged mounting format. 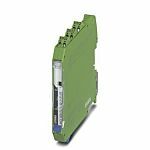  Backplane Mount Conditioners - The backplane style provides the advantage of all output signals being accessible through a single common connector. 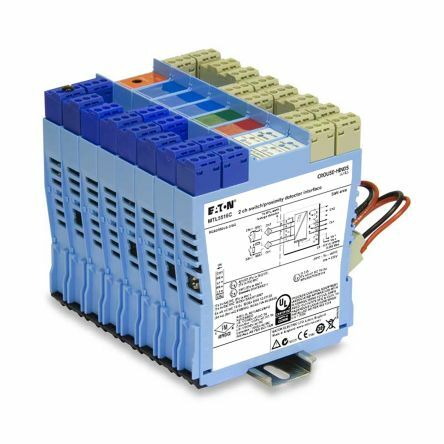 Backplane signal conditioners are often used with data acquisition systems. 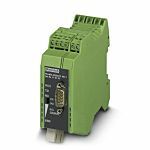  Digital Sensor Signal Conditioners - The output of a digital signal conditioner is converted to a digital format such as RS232, RS485 or Ethernet. Digital signals provide a high degree of immunity from electrical noise, and can also support extended transmission distances.